There’s no denying the self-publishing scene in London – and in fact, the world – is thriving. For a generation ruled by either a coalition or Tory government from teenagehood, zines and the rise of self-publishing offer us a democratic output to express feelings, aesthetics and inequalities. Once a necessity, used by movements such as punk and riot grrrl as a means to spread their manifestos, zines now come with a price. In 2015, we have the internet; an essentially free tool that provides us with every facet of information we could ever wish for. So why do young creatives keep returning to the printed word? Weighted down by zero hour contracts and rising rent prices, zines offer a form of escapism that the constant pinging of social media notifications can only strive to achieve. Print offers no interruptions, and unlike dusty old glossies, provides a realistic proposition of what the future of media could look like. Stapled, bound, black and white or perfect colour, the zine is perhaps almost unique in the fact budget rarely directly correlates with success. Artists such as illustrator Brie Moreno and web artist Molly Soda champion the cut and paste ‘traditional’ zine aesthetic to convey more personal work and feelings, whilst established publications such as Buffalo Zine harness the intimacy of the format to champion slow consumption, but interestingly both remain equally as effective. Often working on a submission basis, these platforms act as not only aspirational but also achievable. Want to contribute to a zine? You can usually find the editor’s email or submission details splattered across the web, and if not, there’s always the chance of bumping into them at your local zine fair. With publications often born out of frustration, oppression, and a desire to push against the status quo, it’s unsurprising that the rise of the zine has coincided with the rise of 21st century girl power. With traditional forms of print often existing with the purpose of peddling dangerous beauty standards and unrealistic expectations of what it means to be a woman, the past few years have seen feminists step away from their keyboards and in front of the photocopier. Fuelled by Tumblr rants and positive female role models such as Tavi Gevinson, from 2010 onwards, zines such as Girls Get Busy have lead the way for females whose voices can no longer be silenced. Five years on and women are dominating the zine scene and representing different intersections of the female experience. With The Coalition Zine and Diaspora Drama creating spaces for people of colour often ignored through mainstream channels, Sister, and newly launched Skin and Blister acting as a grown up Mizz, and One Of My Kind (OOMK) smashing misconceptions surrounding race and faith, the sheer breadth of publications only serve as proof that a multitude of women can thrive and survive. 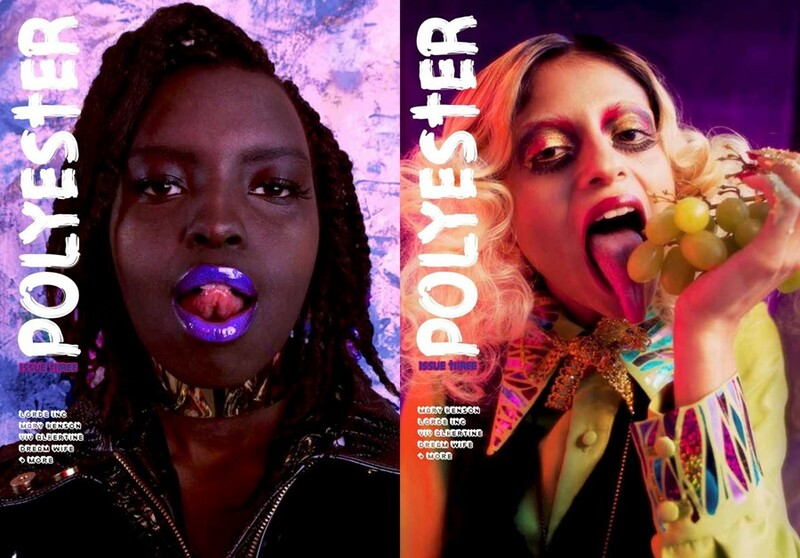 Bored of articles penned by pale, stale and male writers, these creatives are presenting the alternative to clickbait driven faux feminist reportage, whilst nurturing female talent and subverting the stereotype that only one group of women are able to achieve. But possibly the most impressive thing to come out of the zine renaissance has been its ability to reestablish physical communities in the thrust of the digital age. Disenfranchised by email communication and one click online payment, zines have manifested themselves physically within an in-real-life scene as diverse as the publications themselves. For example, Doomed Gallery’s upcoming Zines of the World event, consisting of over 200 photographic publication submissions, the zines and self-published photo books will travel independent galleries across the globe, growing in number at each location, and returning to London once it hits the 2000 zine mark. Unlike often intimidating club nights, events such as Grrrl Zine Fair, The Feminist Library’s fest and DIY Cultures allow like-minded people to come together and form both working and personal relationships. But unlike our riot grrrl predecessors, self-publishers are no longer restricted by physical confinements and print runs that only reach those who attend events. Using the power of the internet to peddle their publications, (and therefore establishing a worldwide reach), growing up online has allowed these young creatives the ability to recognise the importance of the internet whilst understanding its downfalls. Not only do these fairs and events often cement pre-existing online communities and friendships, they but also prove that promoting yourself on the web is not the only successful way to be heard. By shunning traditional notions of marketing, self-publishers, zine fair organisers and editors are generating validity around underrepresented artists and makers, creating a buzz about those previously unheard of. In a generational time where youth culture is constantly criticised as not living up to bygone eras and previous subcultural groups, comfort can be derived from the success of our predecessors. With huge publications such as Bust and Thrasher starting life as zines and remaining true to their DIY and punk ideologies, there is proof that success isn’t directly correlative to a compromise on morals. However, as dwindling circulation numbers and increased print prices become ever-more prominent, the allure of going it alone only grows stronger. Because what’s more appealing; conforming to the categories on a newsstand or creating a community on your own terms?